During this mission 35 patients were operated. 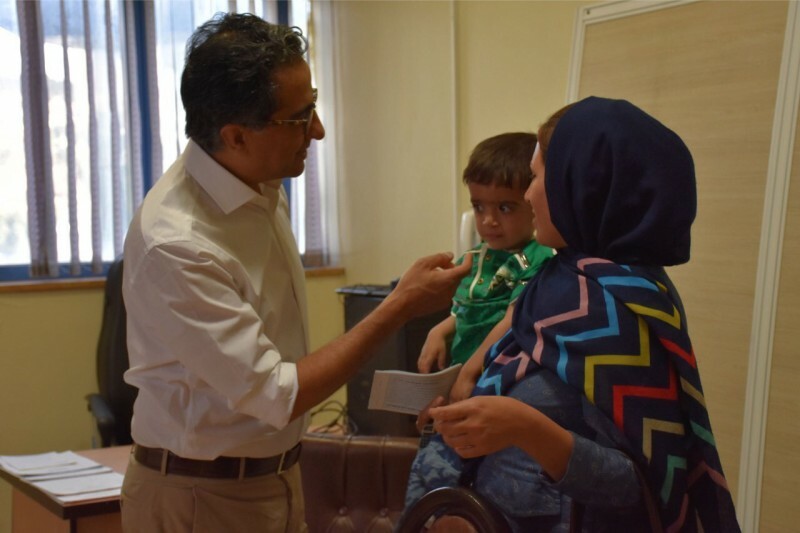 Most of them were treated in the Mother & Child Hospital. 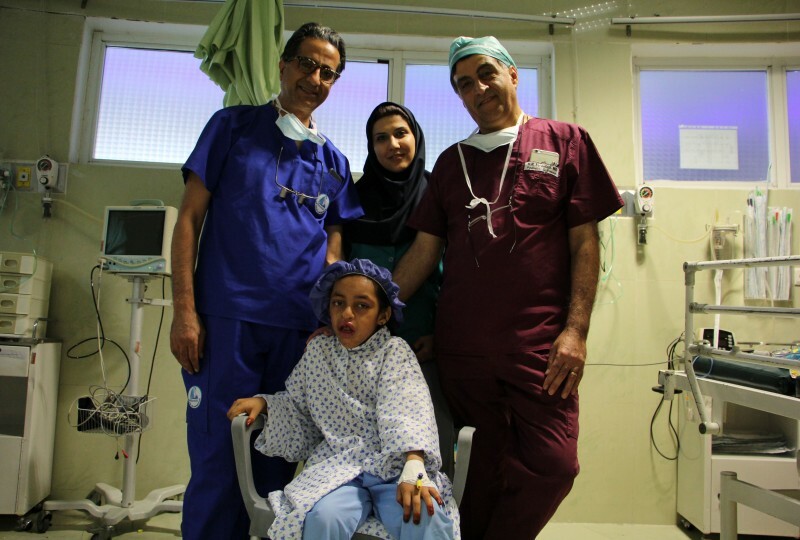 The more severe cases were performed at the Namazi University Hospital. The duration of the surgeries were between 1,5 up to 6 hours. One of the most challenging one was the operation of Anise. Anise was born with a very severe facial malformation so that she couldn't speak and was appearing in public with a mask that covered all her face except her eyes. She lived with her family in a small village at the Iranian border with Pakistan. Her parents were not able to pay for her treatment. Through an announcement of a local journalist in the social media, her story finally reached dr Nadjmi. He performed the most necessary facial reconstruction during his visit to Shiraz last summer. Due to this operation, which lasted for 7 hours, Anise started to speak and eat normally. She could finally show her face to her friends and her class mates. Anise is a beautiful and intelligent girl and is now at the 3rd grade of primary school. During this mission she underwent the final stage of her facial reconstruction which lasted for another 6 hours. In the meanwhile she had orthodontic treatment at the University of Shiraz, necessary to perform the last stage of her treatment.